A globe-trotting political journalist (Katharine Hepburn) and an easy-going sports writer (Spencer Tracy) fall in love, but find their marriage strained by Hepburn’s hectic lifestyle. 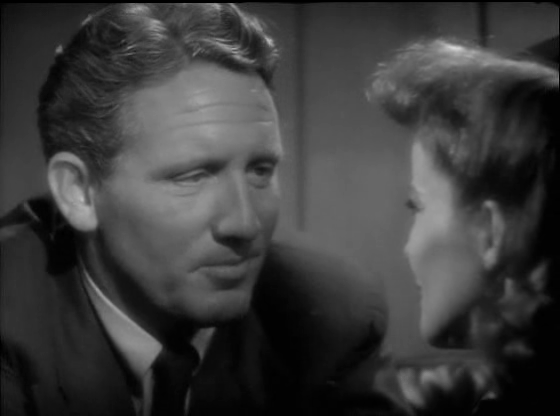 Peary writes that just as “Spencer Tracy’s sportswriter and Katharine Hepburn’s political columnist… can feel the chemistry” the first time they “lay eyes on each other”, viewers “can immediately feel the chemistry between the stars in their first scene together on screen”. He points out that we get to experience the unique “joy” of “watching their characters get to know each other”, given that we now know “we’re also watching the stars develop their inimitable interplay” — one that endured throughout their real-life romance as well as through eight additional films together. 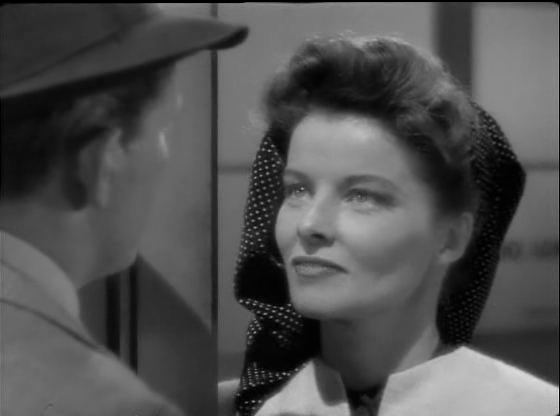 He argues that the “film is hurt by silly and overly sentimental plot contrivances, and because once they’re married neither character is very appealing”, but counters that “Tracy and Hepburn ride out the rocky road”. The enduring question about Woman of the Year is whether its views on gender roles and marital responsibilities have dated terribly (as Peary argues is the case with all the Tracy-and-Hepburn films). It’s true that the final scene — showcasing Hepburn’s disastrous attempts to make breakfast for her husband, a la Buster Keaton in The Navigator (1924) — would seem to hint that the characters have finally caved to sexist mid-century mores; but listen carefully, and you’ll find that this really isn’t the case. Indeed, while Hepburn is clearly made out to be the “villain” throughout the film — with poor, put-upon Tracy simply enduring her hectic lifestyle until he finally puts his foot down — the moral of the story isn’t that Hepburn should give up her phenomenal success for the sake of being a housewife. Rather, the lesson being taught is a remarkably modern one: the need for compromise and balance in any relationship. Yes, as one of Tracy and Hepburn’s most enjoyable pictures together. A once-must, for its place in cinema history. ~and mainly for those who want to know/see how Tracy & Hepburn fell in love for real on-screen (and, obviously, off… well, in a way 😉 ). For me, the first half of this film is more successful than the second. In it, we have a refreshingly intelligent script about opposites falling in love. And it’s all highly enjoyable – with both stars revealing how wonderful it can be to be thoroughly enamored of someone, and how that blissfully transforms your life. As played, I can more or less buy the first half in a heartbeat. Then problems arise. And we come to realize that these two people haven’t taken the time to get beyond infatuation to face the nitty-gritty of what they mean to each other – and of who they really are as people. They acted on a whim and got married. Not the best idea. I think the film has less to do with feminism (though that’s in there, wonderfully) than the importance of getting beyond infatuation before marrying. 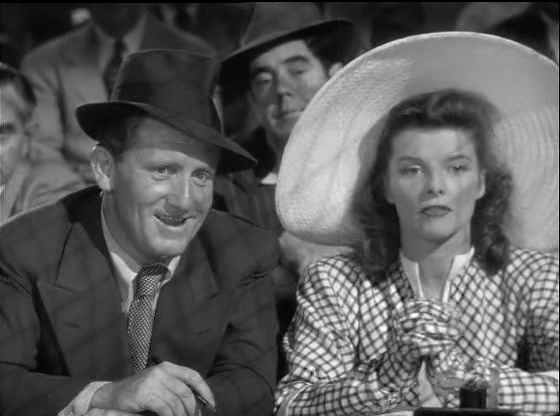 George Stevens is not one of my favorite directors – but, here, as in some other films, he’s not that obtrusive. Unfortunately, the script itself is leaden when Hepburn attempts to prove she can be an ace in the kitchen. But ‘WOTY’, overall, is a perfect example of how the male/female paradigm was shifting – and very much needed to shift – during its time.